Alfred W. French Sr. founded French in 1900 to produce state-of-the-art equipment for the extraction of linseed oil from flax. Mr. French soon adapted his equipment to other oilseeds as well. Today, French stands as a leading supplier and innovator of preparation equipment and mechanical screw presses for the worldwide oilseed industry. French boasts of many thousands of roller mill and mechanical screw press installations worldwide, processing all major oilseeds, with customers in more than 80 countries. French equipment is well known throughout the industry for its rugged construction and outstanding durability. The company prides itself in partnering with customers to design and supply equipment and systems which best meet their needs. Supplying new equipment is only part of French’s commitment to the oilseed industry. 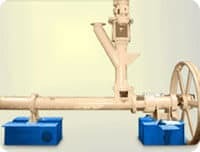 Aftermarket Sales offers an extensive line of high-quality replacement parts for French equipment, including screw presses and many items for French solvent extraction equipment (see solvent extraction systems for availability). 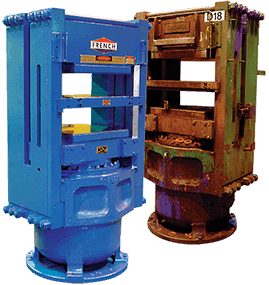 French also offers rebuilding services for used French preparation equipment and screw presses. Contact French today for expert assistance and a complete quote on all your preparation Oilseed equipment, screw presses and replacement part needs.